As one website put it--in a piece tagged to lure Tesla Motors fans--Elio Motors is "the other automotive startup" to which those fans should presumably pay attention. But even Tesla CEO Elon Musk hasn't proposed "crowdsourcing" his product-development funds. Given that Elio now seems to have raised pledges for $22 million from small investors in just 20 days, perhaps Musk should pay attention? What CEO Paul Elio calls "crowdsourcing" isn't the traditional KickStarter or GoFundMe approach, however. Instead, it's actually what the Securities and Exchange Commission calls "early-stage investments to so-called non-accredited investors," a new form of investment made legal as part of the JOBS Act passed by Congress in 2012. That law lets less-wealthy investors put up to $15,000 into startup companies, which are limited to a total of $50 million raised from these non-accredited investors. 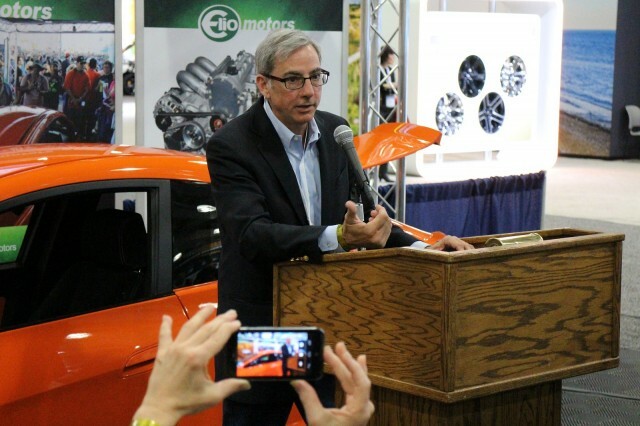 In the case of Elio Motors, the investing is done through the money-raising Start Engine site. As of this morning, the total pledged since June 23 had risen to just below $22 million at the time this article was published, or 88 percent of its goal of $25 million, from 5,500 small investors. 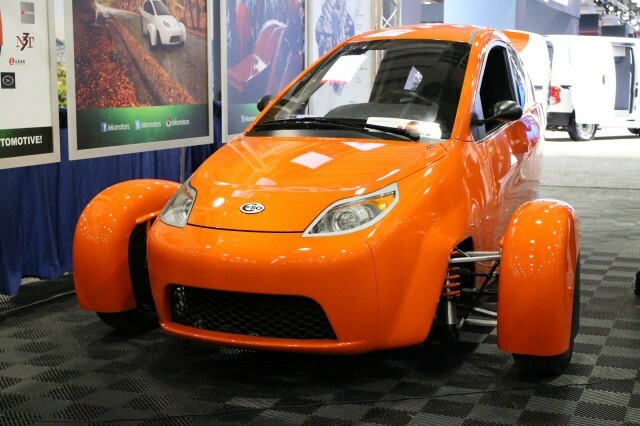 Elio said in April that his company must raise $230 million to launch production of its three-wheeled, two-seat, "84-mpg" car in a former General Motors plant in Shreveport, Louisiana. Before the June initiative, Elio had raised roughly $70 million toward that goal, apparently leaving a shortfall of more than $130 million. The CEO confirmed in April that the company needs a low-interest loan from the Advanced Technology Vehicle Manufacturing program operated by the U.S. Department of Energy. 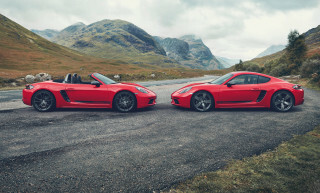 But all reports thus far indicate that the program, if it successfully relaunches after halting new loans four years ago, will largely focus on suppliers rather than automakers. Of the four major manufacturers funded by the program in 2009, Ford ($5.9 billion) and Nissan ($1.6 billion) are making their payments on time. Tesla Motors paid off its $465 million loan several years ahead of schedule, and Fisker Automotive defaulted for a loss of more than $100 million. 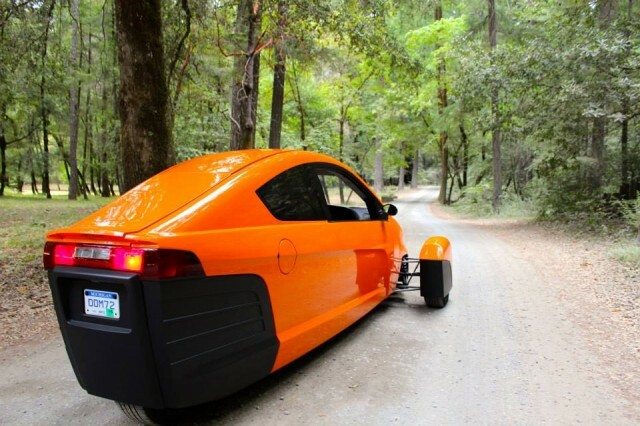 The Elio vehicle is defined under U.S. regulations as a motorcycle, although an effort is underway to define a new category of vehicle--to be called "autocycle"--that would eliminate the need for Elio drivers to wear motorcycle helmets inside the cabin in states with helmet requirements. Elio intends to emulate Tesla's direct-sales model, operating from inexpensive storefront locations and shipping cars overnight for customer delivery the next day. It says it will partner with the Pep Boys service and auto-parts chain to provide third-party servicing, repairs, and maintenance. According to Elio's website, it has now received $290 million in pre-orders for the car from 43,000 buyers who have submitted a deposit to reserve a place in the production queue. It's worth noting here that the odds of starting a car company from scratch are negligibly small. Many seasoned entrepreneurs have tried it, but for the past 80 years, no one has successfully launched a U.S. auto brand from the ground up that survives today. The jury remains out on whether Tesla Motors or its brand will survive another decade or two, as it attempts to scale by 2020 from producing tens of thousands of cars a year to half a million or more. But assuming Tesla does succeed, it will be the first to have done so since December 1924, when Walter P. Chrysler founded the company now owned by Fiat Chrysler Automobiles. Over to you, Paul Elio.